It's with no surprise that Destiny 2 has a lot of the same problems that Destiny 1 encountered on it's launch day back in 2014. The familiar animal and insect names such as "Termite" are back on the list of errors that players see when the Destiny servers just don't want to play ball. In this post I've listed some of the more common errors that occur when trying to connect to the Destiny servers and enjoy the game. Where possible I have provided solutions to fix said problems but in the majority of cases it's simply a case of waiting and trying again later. Beta problems: With the popularity of the game at all time highs, Bungie have taken the wise and expected route of queuing players for entry into the Beta universe. As the days pass and the scale of the game's popularity is confirmed, Bungie will of course scale the servers to accommodate the right balance of power vs financial reward. You will join the game in the order in which you connected. Following a string of "Contacting Destiny servers" warnings during gameplay, the temporarily at capacity error follows shortly after. This issue first appeared on launch night but has since occurred at peak times such as weekends. Fix: Wait for the cloud servers to adjust their capacity, usually takes 5-10 mins. This is an automatic process that Bungie built to dynamically resize the server capacity during peak times. This little creature plagued the Beta period of Destiny in the summer of 2017, preventing players from connecting to the servers and getting beyond first base. Even if you made it to the character select screen, Termite would still kick you back to the logo screen for another round of signing in and queuing. A similar but more ominous version of the error also appears for the European region of the game. The error has no insect or animal codename but simply appears as ERROR, followed by the same text "Failed to download configuration files from Bungie servers, please try again". Beyond the error, the message simply invites players to visit the help.bungie.net website to search for error codes. Fix: Servers are at max capacity, keep retrying. Do NOT uninstall the game. 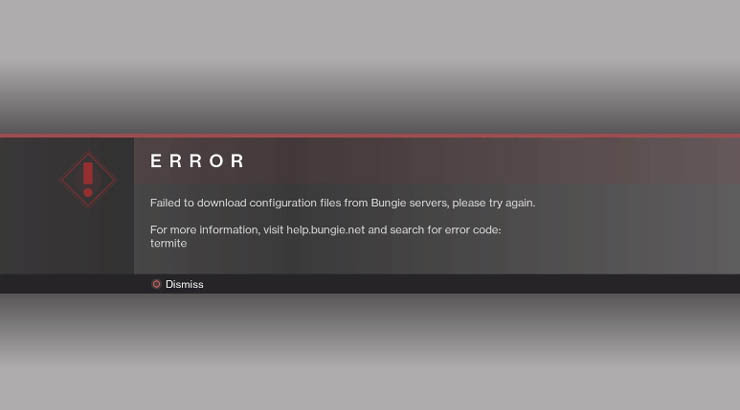 Appearing with the caption "Attention" this error states that you have lost connection to the Destiny servers, either because your permissions have been withdrawn or your profile has been signed in elsewhere. Whether you're actually sharing your PSN/Xbox account or not, it's more likely that the servers are unable to handle your connection. Fix: Ensure that the servers haven't officially been reset by Bungie, then keep trying to connect. Unique to the PS4 Pro console, this error surfaces during the Beta "Homecoming" mission. No precise location for the error, typically after a few minutes and around the Zavala section of the mission. 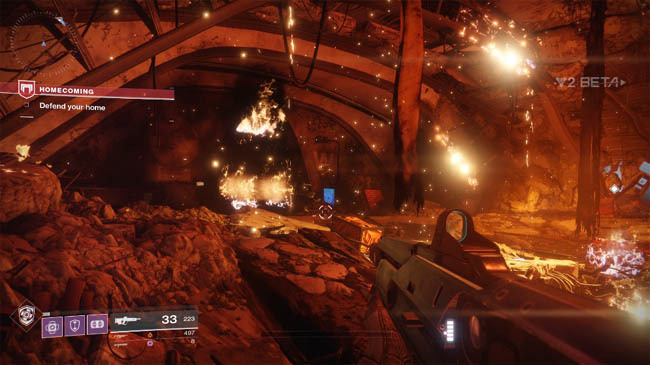 Upon error, the game crashes entirely, preventing the player from completing the mission and reaching the Open Direction screen to play PvP or the Beta Strike. Fix: Reported to Bungie, solution is currently unknown. 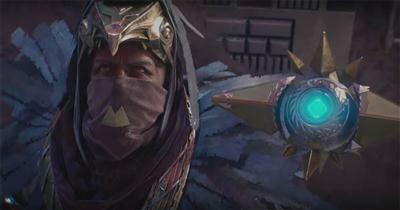 Occurs at random times during the Beta "Homecoming" mission but is predictable when enemies fail to spawn into the environment, particularly Ikora. Upon error, player is kicked out of the mission and returns to disconnected logo screen.